SANTA MONICA, CA – Consumer Watchdog today called for a national moratorium on robot car testing on public highways, after an Arizona woman was killed by a self-driving robot Uber in Tempe, Arizona. According to the Tempe police, the deadly incident happened Sunday night at approximately 10:00 pm, when the car hit a pedestrian. The victim later passed away at the hospital. 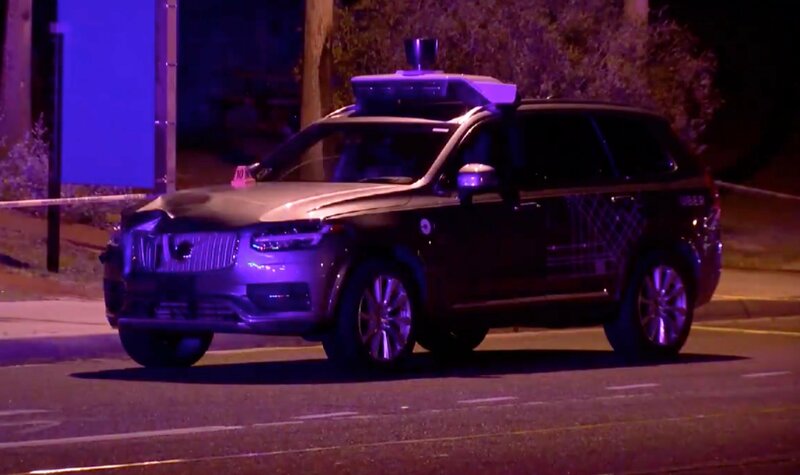 The robot car was in autonomous self-driving mode at the time of the collision and had a human supposedly ready to take control of the wheel in the car, the police said. Consumer Watchdog said the tragedy underscores the difficulty robot cars have in interacting with pedestrians and cyclists, as well as human driven vehicles. Such shortcomings in the robot technology were made clear in the so called “disengagement reports” that companies are required to file when they are permitted to test in California. The reports, which document when a test driver had to intervene, are filed annually with the Department of Motor Vehicles’ website. No such disclosures are required in Arizona. Although this is the first known death caused by a robot car on public roads, this tragedy is unsurprising given the information revealed in the disengagement reports about the “autonomous” capabilities of these vehicles, said Consumer Watchdog. Earlier this year twenty companies released “disengagement reports” showing robot cars cannot go more than 5,596 miles in the best-case scenario without a human test driver taking over the wheel. In most cases, the vehicles cannot travel more than a few hundred miles without needing human intervention, Consumer Watchdog noted. Despite the information revealed in these reports, the California DMV gave robot cars the green light to hit the road without a human driver ready to take control next month. “If robot cars are already killing people even with the presence of a human driver in the car, how lethal are these technologies going to be next month when they will roam public roads without a human onboard ready to take control?” asked Sahiba Sindhu, a consumer advocate at Consumer Watchdog. Consumer Watchdog said all data from the Arizona fatal crash should be made public so it can be analyzed by outside experts. The group said Uber has demonstrated a concern about rushing robot vehicles on to the road, not a concern about safety. An email exchange between former Uber CEO Travis Kalanick and then lead robot car developer Anthony Levandowski, revealed in the recent Waymo-Uber lawsuit, makes clear the corporation's lack of concern for public safety. "I just see this as a race and we need to win, second place is first loser" read one text from Levandowski in March, 2016. "We do need to think through the strategy to take all the shortcuts we can find," said another from the engineer on the same day. “Uber simply cannot be trusted to use public roads as private laboratories without meaningful safety standards and regulations," said Simpson.